The best-selling Voyageur collection offers streamlined and sophisticated feminine styling with smart details in lightweight designs. 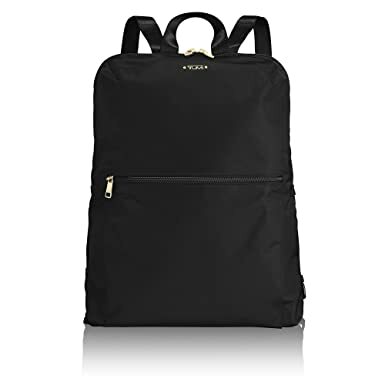 Practical, pretty and versatile, this backpack is ideal for business, travel and everyday outings. 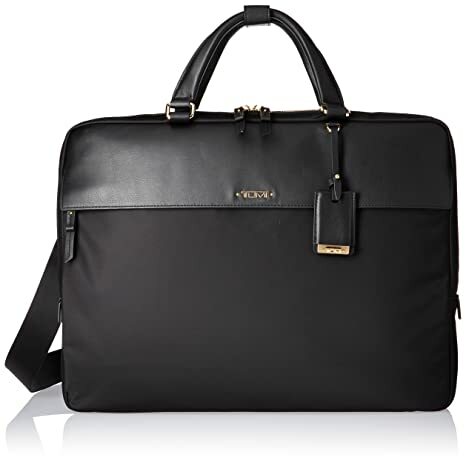 It has a laptop (15 inch) pocket and other interior organizer pockets for electronics and personal accessories. Several exterior pockets for fast-access items. Made from lightweight nylon with leather trim, it has a leather carry handle and padded shoulder straps. 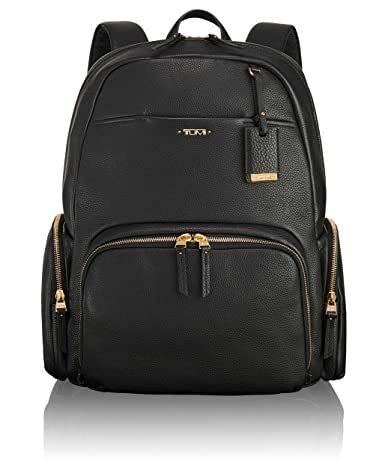 A travel-friendly Tumi backpack rendered in sturdy leather. 3 zip pockets and a slim front pocket outfit the exterior. The lined interior houses 3 notch pockets and a zip pocket. A strap slides onto telescopic handles on separate luggage. Padded back tech compartment. Adjustable shoulder straps and top handle. 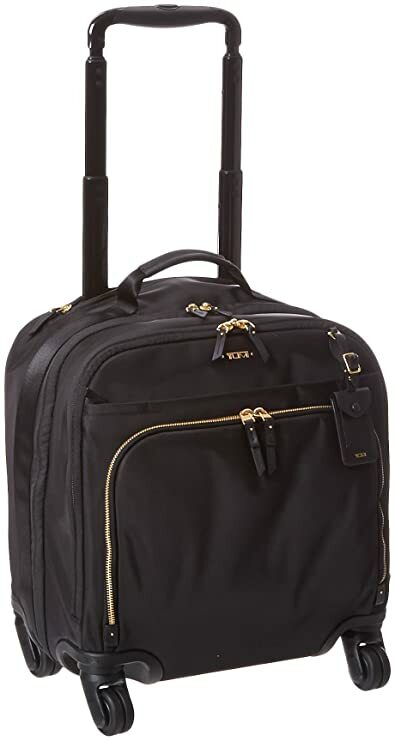 This compact Tumi carry-on bag has a smooth nylon exterior with durable plastic corners. 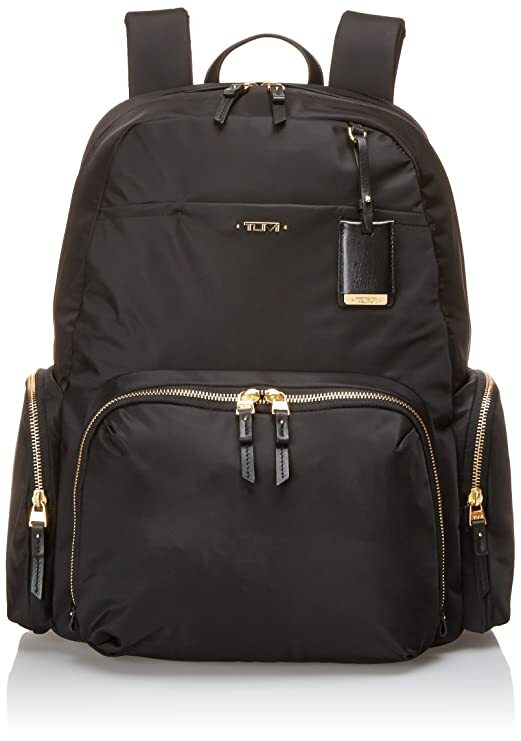 The exterior features a slim front pocket and zip utility pocket. The outer compartment houses 2 notch pockets and a padded tech sleeve. The lined interior offers a zip garment compartment, and a smaller zip pocket for valuables and toiletries. Top handle. Hidden retractable handle. 4 rolling wheels. ID tag included. A versatile Tumi cosmetic case with a boxy look. Slim front pocket. Wraparound zip and vinyl-lined interior with 3 compartments and an optional zip pouch. Rolled handles. 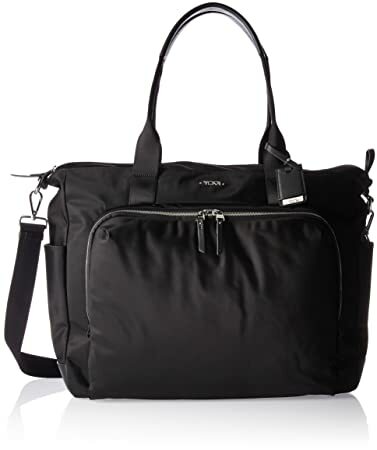 A packable nylon tote from Tumi. 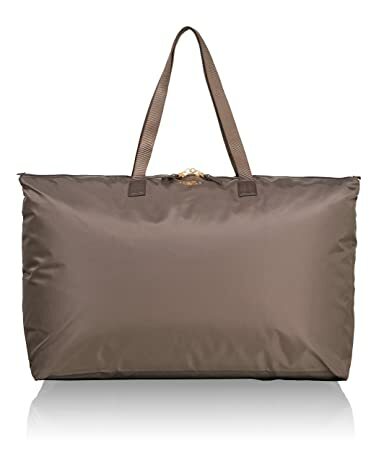 An exterior panel allows the bag to slip onto a suitcase handle. Zip closure. 2 handles. Packing pouch included. Lined. 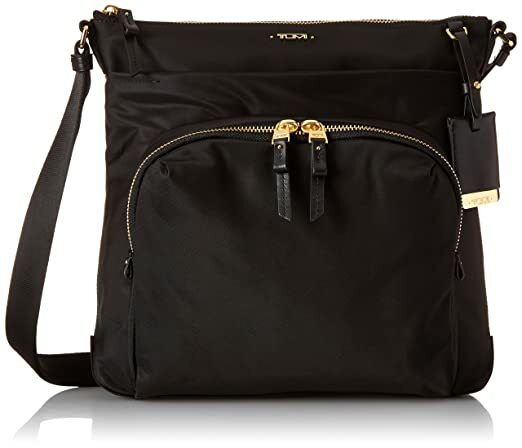 A beautifully constructed lightweight business brief that boasts a slimmer, streamlined silhouette while featuring a wealth of innovative compartments to discreetly stow and safeguard all of your digital essentials. It’s a must-have for every mega-tasker who doesn’t have a moment to slow down. Carry it by hand, crossbody-style or wear it on one shoulder. 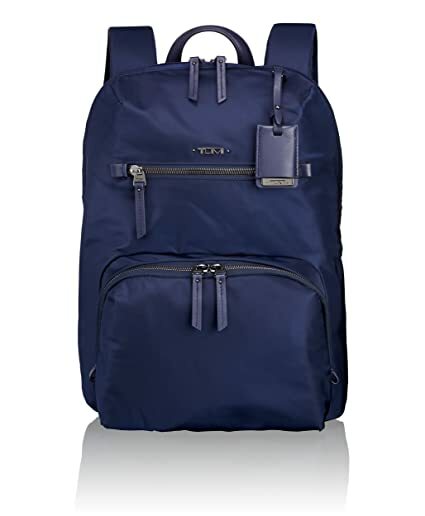 A nylon Tumi backpack which folds completely flat for travel. Zip front pocket. The wraparound zip opens to a lined interior. A strap slides onto telescopic handles on separate luggage. Adjustable shoulder straps and top handle.